Northern Bear were appointed to carry out the design and build of the refurbishment works, of an existing wing of the college and a new build extension to St Wilfrid’s RC College in South Shields. 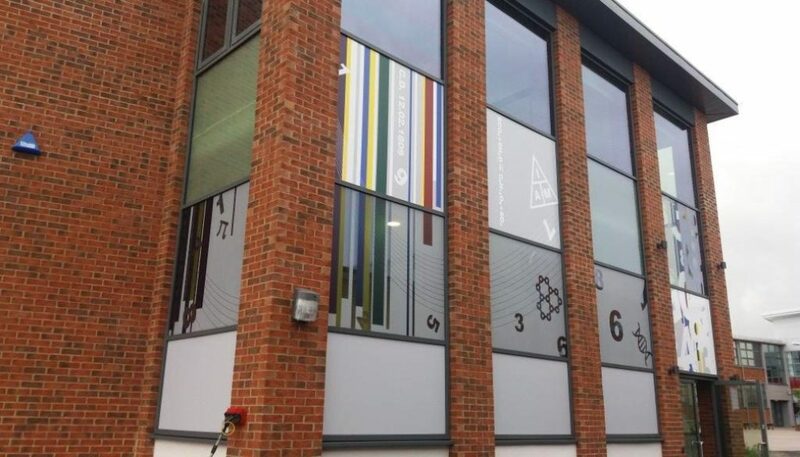 The school were utilising spaces in the building that were not originally designed for teaching the numbers that were using the space. Now that they are an Academy funding was received to carry out the works, which allowed the school to have accommodation that is fit for purpose and aid in terms of timetabling. Design works commenced in April 2015 once the CIF funding bid had been confirmed. This allowed the design to be advanced for both areas of the works so that the refurbishment works could be completed during the summer recess. The demolition works and construction of foundations for the new build were also completed during the summer recess to avoid any inconvenience to the college or the pupils. Part of the works have been the existing two storey Science and Art/Technology wing comprising of 16 classrooms and two offices refurbished internally (during this year’s summer recess), with modifications externally for possible louvres to the facade and air breathing units, to aid ventilation, window film system and complete new sarna roof covering. The New Build works include a new teaching block as an extension to the existing two storey science/art/technology block. The new structure is located on the current footprint of the single storey Resistant Materials Workshop, extending to the north, forming the fourth side of the courtyard. The extension provides three science labs, 1 replacement resistant materials workshop, 6 new general classrooms and associated support and ancillary facilities, to the main teaching block. All works were carried out in a ‘live’ school environment without affecting the school curriculum. Northern Bear Building Services Ltd is a private limited company registered in England, company number 8409305. It is wholly owned by Northern Bear plc. Copyright © 2019. All rights reserved.